Haven't received anything? please contact support@fluffyspins.com for assistance. Check out Fluffy Spins promotions. You can get 500 Free Spins, up to £250 Welcome bonus conversion, double real cashback every day and much more! Complete fun tasks to unlock trophies! 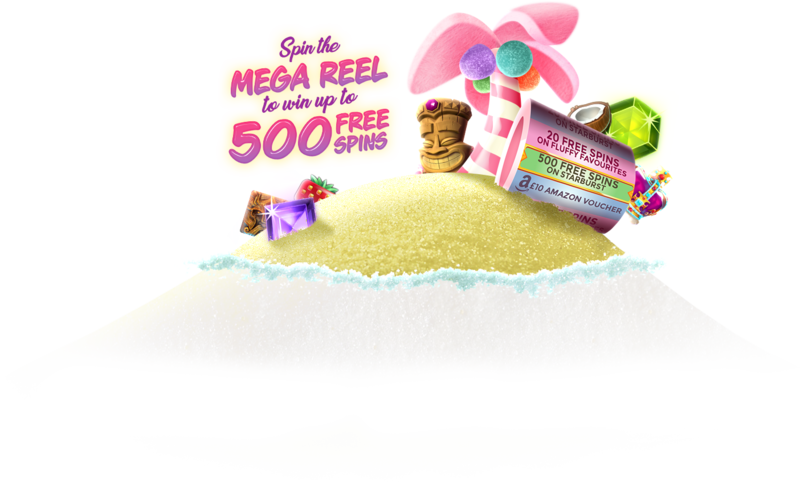 Every new level you unlock gets you a Free Spin of the Mega Reel - claim your free spins today! Enjoy the best online favourite slot, Fluffy Favourites at Fluffy Spins! Join now and play on Fluffy Favourites Slots! Adorable slots fluffy favourites will have you melting. Cuddly toy symbols can land you big prizes and bonus rounds can multiply your winnings up to 100 times! Fluffy Spins is operated by Jumpman Gaming Limited which is licensed by the UK Gambling Commission ('UKGC') for customers in Great Britain and the Alderney Gambling Control Commission ('AGCC') for customers outside of Great Britain. All games on Fluffy Spins are regulated by the UKGC or both the UKGC and AGCC. Registered business address (no correspondence): Inchalla, Le Val, GY9 3UL, Alderney.